Western media romanticizes World War II, but few folks in the U.S. are familiar with the global conflict that dominated the back half of the 1910s and destroyed European empires. If Franz Ferdinand is just an alt-rock band to you, check out these five books about World War I to get better acquainted with the military campaigns that would change the world forever. On November 11 each year, citizens in the U.S., France, Belgium, U.K., and Commonwealth honor the memory of those who fought and died in various armed conflicts. Called Armistice Day or Veterans Day, the government observance falls on the anniversary of the peace treaty that ended World War I. Although World War II was the deadliest conflict by far, World War I bears the distinction of being the first modern military crisis. Various states engaged in chemical warfare, and the extent and prevalence of battlefield injuries prompted advances in medical science. I disagree with the romanticization of war in general. However, to avoid addressing the inherent atrocities of armed conflict only rallies support for its practice. That all being said, I have curated a short list of books about World War I that will give readers a comprehensive look at the political and social origins and ramifications of the global crisis. 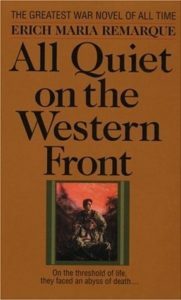 Written by a German veteran and originally titled Im Westen nichts Neues, All Quiet on the Western Front examines the difficulties former soldiers face when they try to re-integrate with civilian society. World War I was one of the earliest conflicts in which soldiers’ post-traumatic stress disorder (PTSD) was addressed. At the time, the condition was known as “shell shock.” It would be decades before the condition was officially named and documented. Most individuals’ knowledge of World War I begins and ends with the assassination of Austrian Archduke Franz Ferdinand. Of course, as is the case with most historic tragedies, there’s a lot more to the story. 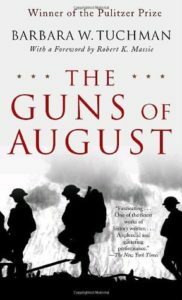 In The Guns of August, Barbara W. Tuchman examines the decisions and conditions that led to the “War to End All Wars,” and how the conflict might have been spared for small changes. She limits her range to the first month of World War I, providing a focused and detailed study of the crisis’ origins. Even if the assassination of Franz Ferdinand isn’t the be-all, end-all of the World War I narrative, it’s still worth taking a good look. 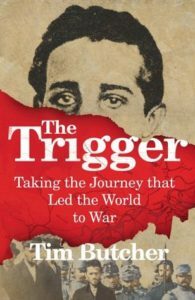 Tim Butcher’s The Trigger follows Gavrilo Princip — the teenage revolutionary responsible for the archduke’s death — on his journey through Bosnia and Serbia. The author places particular focus on the social, political, and economic elements that led to Princip’s radicalization and involvement with the Yugoslav nationalist group, Young Bosnia. 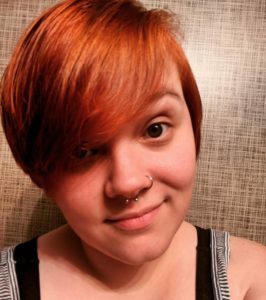 In the age of ISIS, the century-old story told in The Trigger gives insight into what makes young people join radical movements. This World War I memoir from German soldier Ernst Jünger brilliantly explores the nationalist fervor that affected many of the conflict’s fighters. 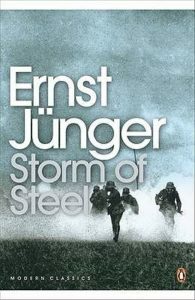 Moreover, Storm of Steel (German: In Stahlgewittern) provides 21st-century civilians the opportunity to understand war’s capacity for turning an individual into a survival-driven machine. For readers curious about the dynamics of trench warfare — another hallmark of World War I — Storm of Steel offers a firsthand account of the horrific battle scenes and tactics involved. If the archduke’s assassination is the leading fact people know about World War I, then the impact of the Treaty of Versailles on World War II is the second. The agreement was supposed to guarantee a perpetual world peace. Instead, it created an environment in which nationalism and ethnic conflicts would fester and boil. 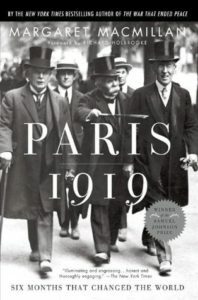 Margaret MacMillan’s Paris 1919 follows the Big Three — Woodrow Wilson, David Lloyd George, and Georges Clemenceau — as they hash out the pact that would set the course, not only for Adolf Hitler’s rise to power in 1933, but also for various civil conflicts across Europe and the Middle East in the decades to follow. What are your favorite books about World War I? Want to see book lists related to other armed conflicts? Let me know in the comments!